Beautiful rock outcrops and spring wildflowers. Huge sycamores, white pines. maple, hickory, beech, oak and cedar. Some very tight fairways and some more open. Some baskets on elevated rocks and creek sides. Course map at kiosk. Paver tees. Choose between two different 18-hole loops or play the full 27. J-West 18 is #1-12b, 22-27. J-East 18 is #4,5,9-24. I-87 (NY Thruway); exit #22/Selkirk. Go south on River Rd/Rte 144 for 4.3 miles to a right on Church St/Rte 143. Stay on 143 for 3.8 miles, then bear right on Starr Rd/Rte 102. Go a half mile to the park on the left. Very solid course. Beautiful park. Worth playing. I enjoyed this course today. This course has very nice long open fairways. Some holes were hard to find because of the setup of the fairways. 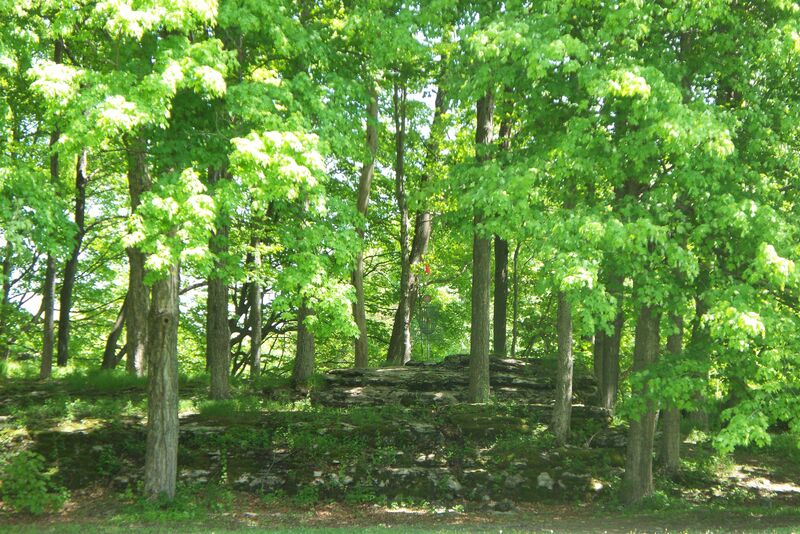 It utilizes the land of the hole park and has 27 holes that will challenge. Only a few things keep this from being a world class course of the highest caliber. It has lots of grassy fairways for rollers or grip and rip shots, and has an equal amount of technical holes. 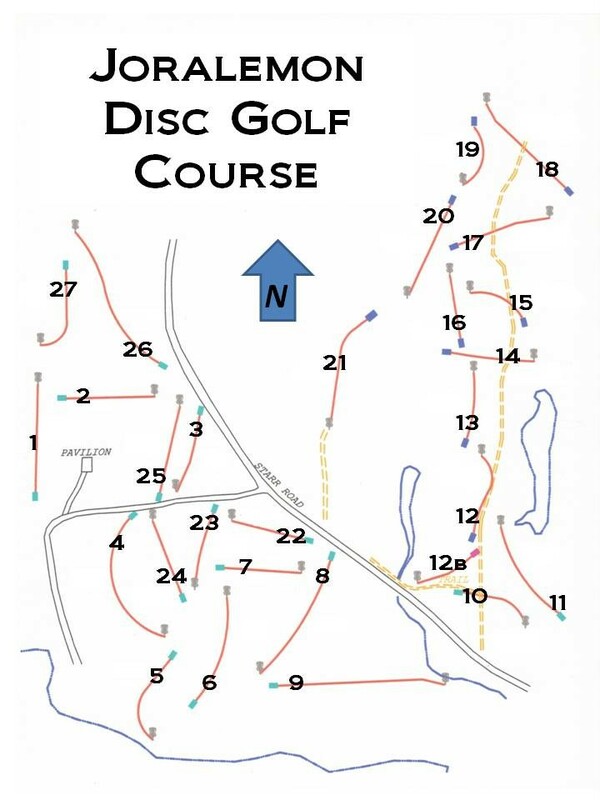 The pins are set among rocks and in tricky areas, the designer Kevin Rounds is a seasoned veteran of disc golf and played in Worlds himself a few times. The tee pads are coming along and the ambitious work crew is always making improvements, such as increasing it from 18 holes to 27. The only things keeping it from being world class are the fact that the land is flat so there aren't elevation changes, and the pins are DB-5 which is one step down from top level. However, an extra set of chains has been added to the basic DB-5 so there are 27 chains per pin now, which really puts them at pro level. A real pro disc golfer will love this course, and beginners will too.